Have you ever felt like you are teetering on the brink of greatness, but something is holding you back? Maybe it seems like there are two versions of yourself-that confident go-getter you keep locked up inside, and the cautious doormat who plays it safe in every circumstance all day, every day. The key to realizing your goals is so easy to see but always seems just out of reach. In reality, there are no tethers stopping you from living the ideal life that you know is within you. It's just a matter of finding the right approach. The help you need to find bedrock confidence and master your day-to-day world is completely attainable. In fact, the best possible news is that this help is right here in your hands. 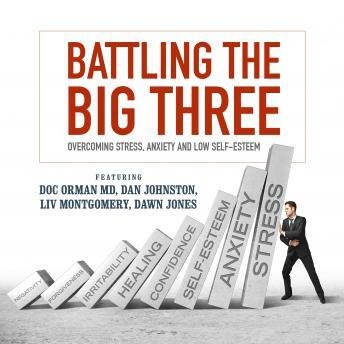 With Battling the Big Three you will find strategies, refined through years of proven experience, to overcome stress, anxiety, and low self-esteem. Greet life with confidence and a renewed sense of self by investing just a few minutes each day in yourself.